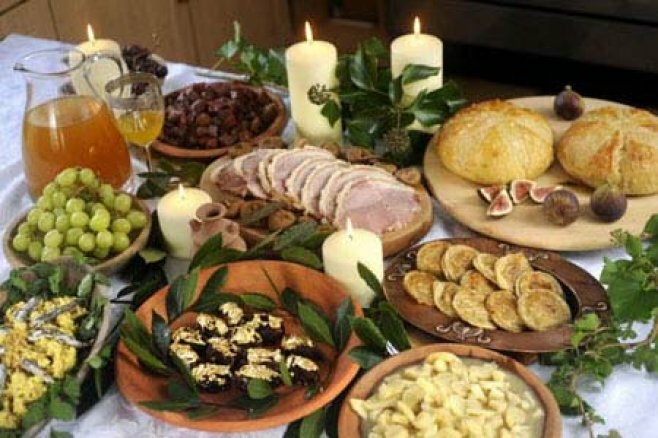 Moldavian region presents a gastronomic diversity that any gourmet more or less "connoisseur" would appreciate it. We can find here an eclectic mix of flavors and textures able to satisfy the most exigent tastes. 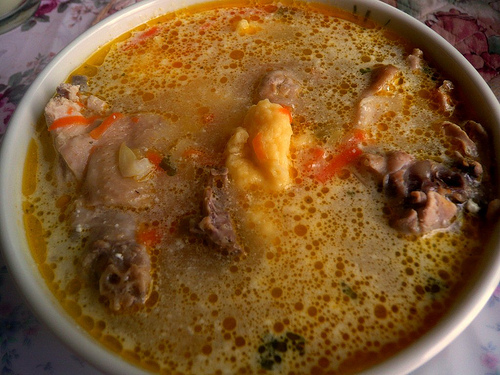 Moldavian cuisine has been influenced over time by different nations. Turks, Greeks, Ukrainians and Russians have marked with their colors and flavors the Moldavian gastronomy. The traditional dishes are a central element for what is called Moldavian tradition. In the Moldavian villages the elders have kept scrupulously the traditions and all the recipes of their ancestors. “Bors” – the fundamental ingredient for the famous Moldavian dish with the same name, is still prepared with water from the well, wheat bran and sour cherry twigs. “Colaci”(dough coils) and “cozonac” (a cake very similar with the Italian cake called panettone) are baked on stone oven and the bread is wrapped in walnut leaves to give it a special flavor; “sarmale” (cabbage rolls) are cooked in unglazed clay pots usually on the stone oven. “Pui asudat” is a dish made by chicken meat cooked in a cauldron and served with a creamy sauce called “mujdei” (made with garlic and nuts) and accompanied with hot cornmeal mush and a red, temperamental harsh wine – that kind of wine that only in Moldavia can be found. There still exists the tradition to cook different dishes using classic wood burning stoves or a trivet on an open fire. Through its cuisine, considered one of the tastiest cuisines in Romania, Moldavia offers its guests unique dishes: the famous traditional Moldavian dish called “tochitură” – a mixture of pork smoked meat, bacon, homemade sausages, and eggs (all fried in pork lard ) polenta and sheep milk cheese; various “bors” made with vegetables, fish or meat – the delicious “ciorbă rădăuţeană” originating in Rădăuţi, Bukovina; sauerkraut rolls filled with various meats or mushrooms; “pastramă” (veal, pork and mutton smoked meat) sausages, “drob”, toba” “chişca” and “caltaboşi” (some traditional pork meat products prepared for Christmas) stews with vegetables, wild mushrooms and smoked meat; moldavian moussaka and soups; “ostropel” (stew chicken, rabbit, pork or beef) “ciulama”(a mix of mushrooms or chicken meat and sour cream) cheese and homemade yogurt -"chişleag" (a very healthy yogurt prepared from cow's milk, thermally unprocessed, kept in clay jugs) meat pies, cabbage pies (vărzări) or potatoes pies; various salads. Traditional Moldavian sweets range is also quite broad: walnut pies, "învârtite" (a pie made by dough, sugar and pork lard) “poale în brâu” (a kind of cheese pie) “turtă cu julfă” or "pelincile domnului" (a cake made of thin sheets of dough cooked on the stove filled with a cream made from hemp or pumpkin seeds, sweetened with sugar or honey) “colţunaşi” (dumplings filled with jam or cheese) filled donuts, etc. In terms of wine, Moldavia boasts the highest quality and the most appreciated wines at national and international level. Moldova contains the most important vineyards in Romania. Vineyards of old tradition, famous for their wines of high quality are: Odobeşti Coteşti, Panciu, Nicoreşti, Husi and Cotnari. It is also worth mentioning here other moldavian vineyards as Bohotin, Iasi, Iana, Dealurile Bujorului and of course the famous Bessarabia vineyards Cricova and Purcari. 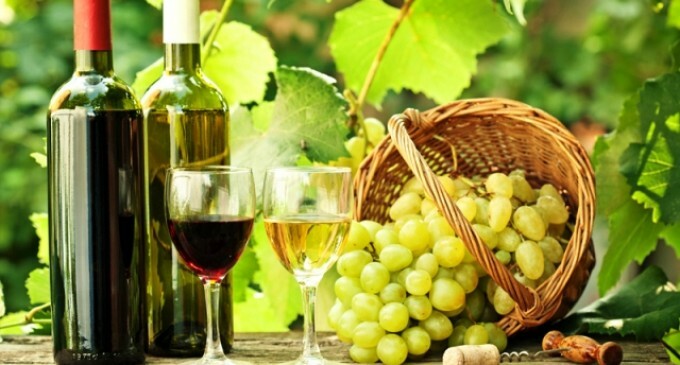 The wines produced in Moldova range from white and rosé wines (dry, semidry and sweet) to red wines (dry and semi-dry) and sparkling wines produced from varieties representative recognized throughout Europe: “Galbena de Odobeşti”, “Zghihara de Huşi”, “Grasa de Cotnari”, “Frâncuşa”, “Feteasca albă”, “Băbeasca neagră”, “Fetească neagră” “Tămâioasă romanească” and “Busuioaca of Bohotin”.